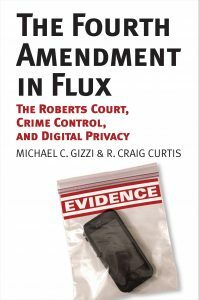 The Supreme Court’s recently ended term only had a few search and seizure cases, but the decision in Utah v. Strieff provides evidence of the continuing power of the crime control narrative on the Court, and involves one of the central issues explored in The Fourth Amendment in Flux: The Roberts Court, Crime Control, and Digital Privacy, namely, the evolution or devolution of the exclusionary rule in a jurisprudence of crime control. The case openly forgives police misconduct, by exaggerating the social costs of excluding evidence, and creating yet another rationale for permitting illegal police activity to go unchallenged. In this case, Edward Strieff was subject to what the lower courts conceded was an illegal Terry stop, lacking reasonable suspicion. After the stop, the officer learned that Strieff had an outstanding warrant for his arrest. Strieff was arrested and searched incident to that arrest, and incriminating evidence was found. The question is whether that evidence is tainted by the illegality of the Terry stop. Does the “fruit of the poisonous tree” doctrine apply, or does the intervening act of discovering the existence of a warrant preclude the use of the exclusionary rule. “This Court has given officers an array of instruments to probe and examine you. When we condone officers’ use of these devices without adequate cause, we give them reason to target pedestrians in an arbitrary manner. We also risk treating members of our communities as second-class citizens. Although many Americans have been stopped for speeding or jaywalking, few may realize how degrading a stop can be when the officer is looking for more. While the Court in Strieff makes concessions for the need for police discretion to protect public safety, Justice Sotomayor really illustrates what is at stake for the future. Allowing an illegal stop to stand just because of the happy accident of the existence of an outstanding warrant rewards police misconduct, rather than deterring it. What this case does is demonstrate that the jurisprudence of crime control remains deeply embedded in the minds of many justices, and the majority of justices refuse to acknowledge, as Justice Sotomayor does, the threat that this approach presents for constitutional civil rights and liberties. The Fourth Amendment is certainly still in flux, but the jurisprudence of crime control remains the dominant paradigm.